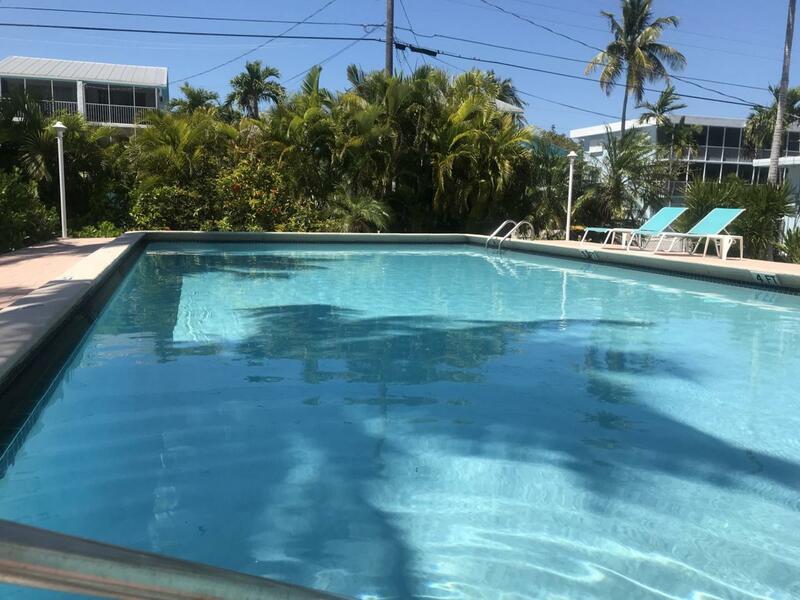 Fisherman's paradise resort style living in this well-appointed 1 BD /1 BA/1 car garage end unit condo in Islamorada. This community features boat dockage for up to 25' boat with quick access to the ocean, cleaning stations, fenced boat yard storage, boat ramp, pool, tennis, pickle ball, shuffle board, horseshoe pit, tikki huts, grills & beautifully landscaped grounds. The buildings have been freshly painted with newly screened porches. One of the few communities in Islamorada that has a garage, great to keep all your fishing gear, bikes and kayaks. The condo features an amazing kitchen with soft close wood cabinets, stainless steel appliances, tile back splash, quartz counter top and wine refrigerator. Upgraded tile bathroom with many more features.and great room along with a large screen porch for your enjoyment. Will sell furnished or unfurnished based on offers. Listing courtesy of Jaye Lanigan of Century 21 Schwartz Realty (Isl).